إذا كنت تبحث عن عقار بموقع جيد في المدينة، فقد وجدت ضالتك في Wellesley Boutique Hotel. يمكن من هنا للضيوف الاستمتاع بسهولة الوصول إلى كل ما تقدمه هذه المدينة النابضة بالحياة. إن سهولة الوصول من الفندق إلى المعالم السياحية الشهيرة الكثيرة في المدينة هو استثنائي بحد ذاته. إن الخدمات التي يقدمها Wellesley Boutique Hotel تضمن للنزلاء إقامة مريحة. يقدم العقار واي فاي مجاني في جميع الغرف, تسجيل وصول/خروج سريع, تخزين الأمتعة, واي فاي في المناطق العامة, خدمة الغرف لضمان الراحة القصوى لضيوفه. استمتع بوسائل الراحة الراقية في الغرف أثناء إقامتك هنا. بعض الغرف تتضمن تلفزيون بشاشة مسطحة, اتصال لاسلكي بالإنترنت, اتصال لاسلكي بشبكة الإنترنت (مجاني), غرف لغير المدخنين, مكيف هواء لمساعدتك على استعادة طاقتك بعد يوم طويل. كما أن مجموعة الخدمات الواسعة الموجودة في الفندق لضمان راحتك تترك لك الكثير من الخيارات لقضاء وقتك أثناء فترة إقامتك. إن Wellesley Boutique Hotel هو خيارك لخدمة الفنادق الراقية في المدينة. لا يتوافر إفطار مطهي خلال العطلة الأسبوعية، وإنما إفطار كونتيننتال فقط. The hotel was very central. Easy walking to shops or wharf. Surrounded by excellent eateries. Clean, comfortable rooms. Quiet at night. Only downside was heating/cooling. We opened the window to get fresh air and I’m sure one the upgrading is complete the hotel will be excellent. We will stay again. Thoroughly enjoyed our short stay at the Wellesley, it’s a real gem, in perfect original condition, worth staying just to ride in the lift! Beautiful luxurious rooms, & very comfy bed. Would highly recommend to any one who enjoys a step back in time & staff are super friendly as well. A wonderful and quaint step back in time. 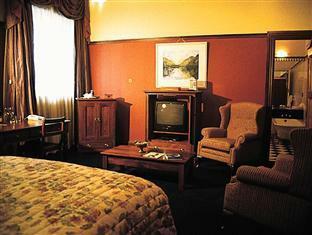 This immaculately maintained heritage hotel is my new favourite place to stay in Wellington. Very comfortable and clean and with a nice cafe downstairs. Check it out. this is a great place from which to explore downtown. we loved the Victorian vibe, including the grand, creaky old staircase. this place has tons of old-world charm, and no it is not 110% tip top renovated. we loved every minute! This one took me by surprise. A character filled step back in time. An old style heritage hotel that looks today how it would have way back when. Very comfortable, immaculately maintained and spotless. Reasonably priced and with a nice cafe restaurant downstairs. I won't be staying anywhere else in Wellington from now on! 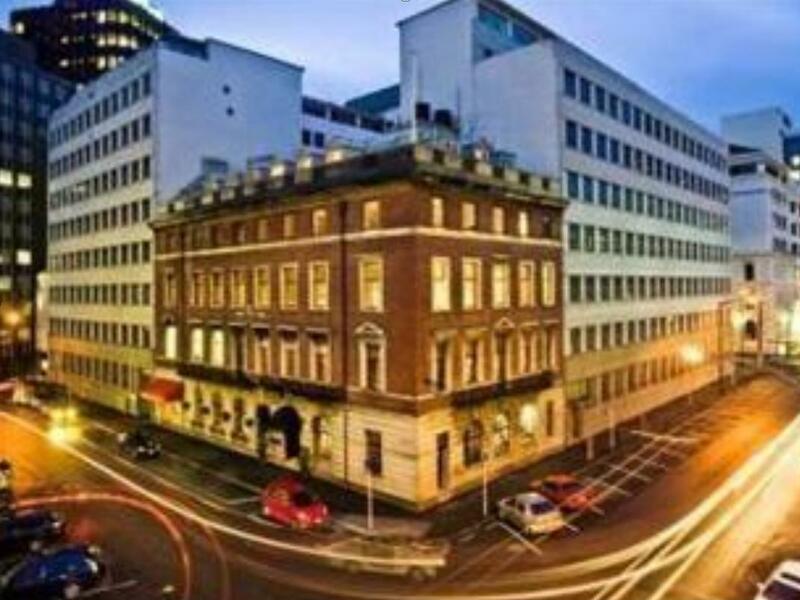 Excellent location, surprisingly quiet for downtown Wellington. Beautiful old room, high ceilings, but the bathroom was completely up to date. Helpful staff. One issue: couldn't unhook the hangars from the rod in the armoire, so I couldn't hang up my tee shirts. If you can survive that, BOOK THIS HOTEL, IT'S GREAT! Darkest hotel/ room I have ever been to. You hardly see any staff too and would not even make the bed properly or replenish toiletry - which was one tiny set for the entire 4-day stay. However, it's in a quiet location and accessible to most destinations. We loved this beautifully-preserved and maintained hotel, with its perfect blend of contemporary comfort and old time charm and luxury. The location was perfect....a short walk from the railway station and easy access to city transportation. We recommend it highly. We found our room comfortable however there was access to the bed only from one side. Rather expensive for $200 per night without a view or opening windows for a bit of fresh air. On the positive side it was very centrally located and very quiet which we liked. Took a bit of effort to locate the hotel after coming off the bluebridge ferry. Was about a 10 minutes walk. A bit of a challenge tugging a wheeled luggage along the streets of Wellington but I will say the experience made up for it. Was welcomed warmly at the front desk who then brought us up to the room and introduced some unique features of the hotel. 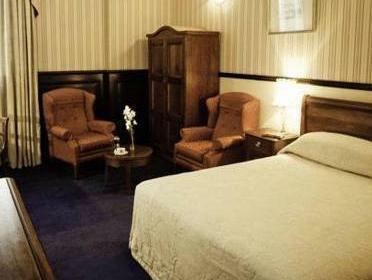 The room was well maintained and retained the whole atmosphere of the hotel. Comfortable and spacious enough for 2. We went on a train ride the next day and the relative proximity to the train station was another key reason why this hotel was chosen. Our stay was very good close proximity to the stadium for the Elton John concert and close to the bus stops for Courtney place and to Cuba Street precinct as well as for Waterfront dining, the house bar on the Friday was very relaxed and friendly with a mix of house guests and the local office workers all up very nice and we were thankful that we could get accommodation via the Agoda website as Wellington accommodation was full when we had viewed Expedia and Tivago. Thanks and we will be back. Unique character, warm and friendly staff. The location is incredibly convenient but should be noted that the parking can be a challenge in the area. The hotel will sell you a parking voucher for $25 / day. The free wifi is only 100mb / room, not per guest - which lasted us only a few minutes. The hotel is full of character but a lot of features are quite aged. Reception staff is very friendly and provided useful information about the Ferry and restaurant nearby. We enjoyed the seafood dinner in Crab Shack which is just 5-10 min from hotel. Rooms were looked exactly like the pictures in Agoda. The location of this boutique hotel is very good. We chose WBH encouraged by the advertising on agoda.com. Looking for a medium priced birthday treat, we were able to book an appropriate room. My initial impression of 'front of house' was a busy, customer focused staff member, keen to show his clients to their rooms personally. Though this meant we had to wait briefly to check in..sharing in the historical journey of the hotel while taking a ride in the original lift, was worth the wait. The room was outstanding. Furnishings and interior design perfect. The bathroom, with double shower and double basins, plus a bath, incredible. The hotels location allowed us to walk into town within a few minutes and metered parking was available directly outside, with a parking token on offer for $25 (24 hours), within walking distance. Definately happy to return. Loved the old-style decor and history of this hotel. Beautiful spacious bedroom and bathroom, supreme furnishings, charming old lift, gracious staff. I found a book in the lounge detailing the history of it as a men's club prior to becoming a hotel. Fascinating to me as a reminder of another social era. Reminded me of the style of the Fairmont hotels. 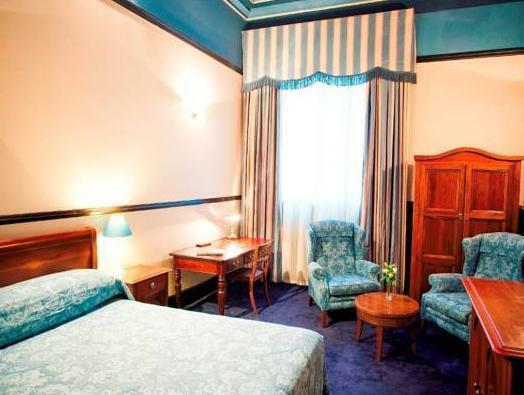 the hotel has a lot of history and is located close to the action at the center of the city. The room was a little cramped and opened to a light well, and the A/C wasn't working very well so the room stayed pretty warm. Other than that, it was an enjoyable stay.